With the beauty market bigger than ever, it can be hard to stay on top of the latest trends, especially if you’re a busy individual. Over the years it has become easier with the help of beauty subscription boxes. For a set price, you can have the latest cosmetics and trends sent to your doorstep. With all the business in today’s world, individuals have really taken a liking to this way of shopping. There are hundreds of beauty box brands out there, which is why in this review you will be given all the information you need to determine which one is the best fit for you. It can be hard to read between the lines of fact and fiction, especially online. Transparency is key when it comes to reviewing beauty subscription boxes, which is why we take our time in giving consumers an honest look at each website. We put in a lot of consideration when determining ratings, but there are three things that we consider to be the most important (see below). Value for cost: Are the products worth the cost of the subscription? To determine this we look at the lowest price of entry, average price, and quality of the products. Customer Service: Do they respond in a timely manner, or not at all? It's almost a guarantee that the better the service, the better experience. A company with good customer service is important because they will value your feedback. It also makes it possible to cancel your subscription conveniently without any hiccups. Customer Reviews: How does the public perceive the product/company? If a large sum of people are not happy with the company, then it's likely that they aren't worth it and vice versa. Are the products worth the cost of the subscription? To determine this we look at the lowest price of entry, average price, and quality of the products. One of the more well-known beauty box brands, Ipsy has been around since 2011. A fan favorite, Marcelo Camberos and Jennifer Goldfarb created Ipsy with the mission to inspire women to have confidence in expressing their own unique beauty. Each month, subscribers will receive a "glam bag" that comes with 5 products that are personalized for them - plus granted access to videos, articles that are included on the website. With the constant flow of new products, you are free to mix and match styles to create your very own. Along with great customer service, many love how personable the company is when designing the glam bags. They felt like each glam bag they received was tailored to their own unique taste. Even though there are some complaints of being wait-listed, the negatives made up less than half of the reviews. Ultimately Ipsy is very user-friendly, and members recognize that. If you're ready to join the Ipsy community then you can get your first box here! If your still on the fence, make sure to read our full Ipsy review before making your final decision. Each month, subscribers will receive a "glam bag" that comes with 5 products that are personalized for them - plus granted access to videos, articles, and more that are included on the website. With the constant flow of new products, you are free to mix and match styles to create your very own. Who Should Try it: This box is ideal for someone who wants to experiment with a variety of products that are high in value. With Sephora Play, subscribers receive the most sought-after products with a monthly selection of samples handpicked from Sephora's shelves. Each month, subscribers will receive 5 deluxe samples plus a fragrance bonus all in one collectible bag. Each product package is $10 a month with free shipping, and boxes arrive within a three to five day period around the 20th of every month. Subscriptions are always in high demand, and sometimes there is a waiting-list depending on product availability. Luckily they continue to add new subscriptions as they continue to grow. Many members can't help but notice the consistency of high-end products and huge sample sizes. You certainly get more than what you pay for. The only complaints, if any, were about the fact that Sephora Play is exclusive to the United States. Thinking of giving it a try? You can get started here. If you’re still looking for more information, make sure to check out our full Sephora Play review. Each month subscribers get 5 deluxe samples plus a fragrance bonus all in one collectible bag. Sephora Play only offers one subscription plan. Each product package is $10 a month with free shipping, and boxes arrive within a three to five day period around the 20th of every month. Subscriptions are always in high demand, and sometimes there is a waiting-list depending on product availability. Luckily they continue to add new subscriptions each month as they grow. 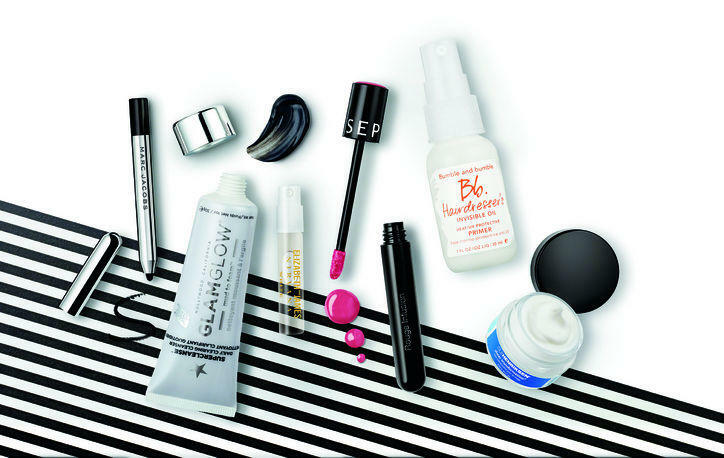 Who Should Try it: It's great for die-hard Sephora fans who want to sample high quality brands for a convenient price. Amy Errett wanted to create a brand that not only was convenient, but one that was healthy as well. From that dream, Madison Reed was born. After some thorough research she found that the EU standards for safety meant that at-home hair dyes were made without the harsh chemicals found in American versions. Later she found a manufacturer in Italy that could create the natural-looking and healthy dye that people love today. In a general subscription, members will receive their own specialized hair kit every month. That kit contains everything needed to dye your hair in your own home. Madison Reed offers two ways to buy their hair color. Members can purchase a single box for $24.95. It's standard shipping (3-10 business days) which is an additional $5.00, bringing your total to $29.95 for a single box of dye. If your hair is longer, you have the option to buy a second box of dye for an additional fee. It’s on the pricier side, but the high quality makes it worth it. For the most part, feedback concerning Madison Reed was extremely positive. It’s hard to find any critical comments, which is a circumstance that is few and far between. If you’re in dire need of getting one step ahead of your roots, you can get your first box here. If you need filled in on more details, check out our full review. Amy Errett realized this occurring problem and decided to do something about it. From that, Madison Reed was born. In a general subscription, members will receive their own specialized hair kit every month. That kit contains everything needed to dye your hair at home. Who Should Try it: Madison Reed is ideal for someone who is busy and doesn't have time to make a trip to the salon. Curology started in 2013 when Dr. Lortscher set out to make an effective acne treatment accessible to everyone. Today Curology employs over a dozen medical providers to thousands of people who wouldn't be able to access or afford treatment. To get started there are just 3 simple steps. First you answer some questions about your skin, and then you will be assigned your own personal provider who will decide on a custom treatment that shipped straight to your doorstep. The standard subscription for Curology is $19.95 a month. If you are a new subscriber, you have the option to start a 2-week trial to see how you like their services. Almost every user has claimed to see visible improvement with their skin, which speaks to how high quality their products are. Based on survey responses, 432 Curology patients between 10/11/2016 and 11/08/2016 stated that they saw noticeable results. If Curology looks like something you would be interested in, you can start your 2-week trial here. If you are still deciding, read our full review to learn more about the company. Honest Beauty is an online subscription program where each month you receive a box containing three beauty items of your choice. You can either start with a convenient free trial or dive right into the program. Honest Beauty has one subscription plan. For $50 a month members will receive 3 products of their choice (plus 25% off any additional items added to the bundle). The products you can choose from are not from well known brands, but from their own Honest Beauty line. In Honest Beauty reviews, customer feedback varied. Some loved the natural feel of the products, while others claimed that the products were not as great as advertised. Their high expectations for this newly innovative brand fell short. 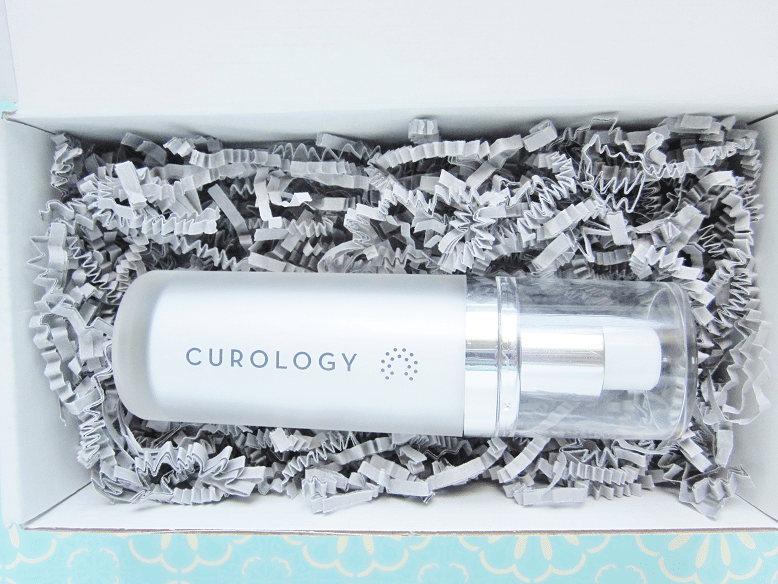 Who Should Try it: Curology would be great for someone who is looking for an effective way to get rid of problem skin on a budget. FabFitFun is a seasonal beauty subscription box where members get "fab" finds in beauty, wellness, fashion, and beauty. Over the years they have been featured by many big names like Forbes, CBS News, and Real Simple Magazine. With this subscription, members get boxes of fabulous finds in beauty, wellness, fashion, and fitness - all equating to up to $200 in value. The boxes ship out 4 times a year: One in March, June, September, and December. It goes way beyond the box, though. As a member you are given special privileges to workout with FabFitFun TV, shop exclusive member sales and join their supportive private community. FabFitFun is generally perceived well by the community. If any, complaints circled around the automatic shipping. These complaints aren't entirely valid though. If you check your email each time a seasonal box is shipped, you should find an email from the website reminding you about the upcoming bill and box. This box could be the right choice for you. If so, yo can get your first box here. If you are still unsure about this company then you can check out our full review for a more comprehensive look. Who Should Try it: FabFitFun is a great aid in the pursuit of a healthy lifestyle. Lip Monthly is a beauty subscription box that offers all things lips. Every month they send you a unique bag straight to your door and help you discover the best Lip Glosses, Lip Sticks, Lip Balms, Lip Stains and much more. In addition, Lip Monthly has partnered with niche brands to big brands all around the world to deliver you 4 to 5 deluxe products each month. Featured by big names like Buzzfeed, Mashable and USA Today, Lip Monthly is well liked by the consumer community. So much, in fact, that over 45,000 members are enjoying their boxes. What's special about Lip Monthly is that it exclusively focuses on lip products, and all monthly products are full-sized. 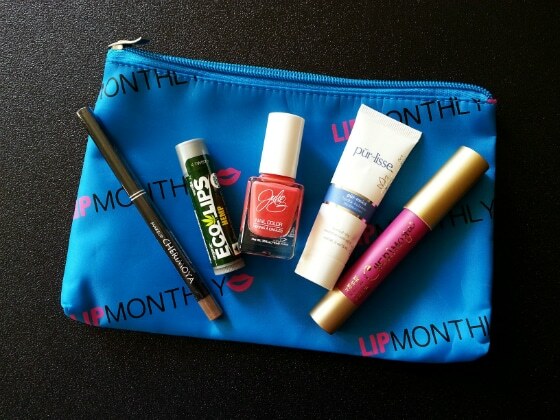 For more information on this beauty box, check out our full Lip Monthly review here. If not, you can possibly get started on your first box. Who Should Try it: Lip Monthly would be great for someone who is looking to up their lip game. Julep Maven was created with the intent to let subscribers have freedom with the products they got to experiment with each month. It's simple. Each month discover new products from their exclusive collection and add them to your box! Each box consists of around 4-5 products that are curated to your taste! With the generic subscription plan, subscribers will receive a box worth up to $40 for the price of $29.99. All plans include the option to "send to a friend," skip a month, or cancel at any time. You can switch to and from a prepaid subscription anytime as well. Sometimes subscribers may not be a fan of boxes that only offer one brand, but in this case it was the opposite. Many members loved what Julep Maven has to offer. Have an extra $29.99 laying around? 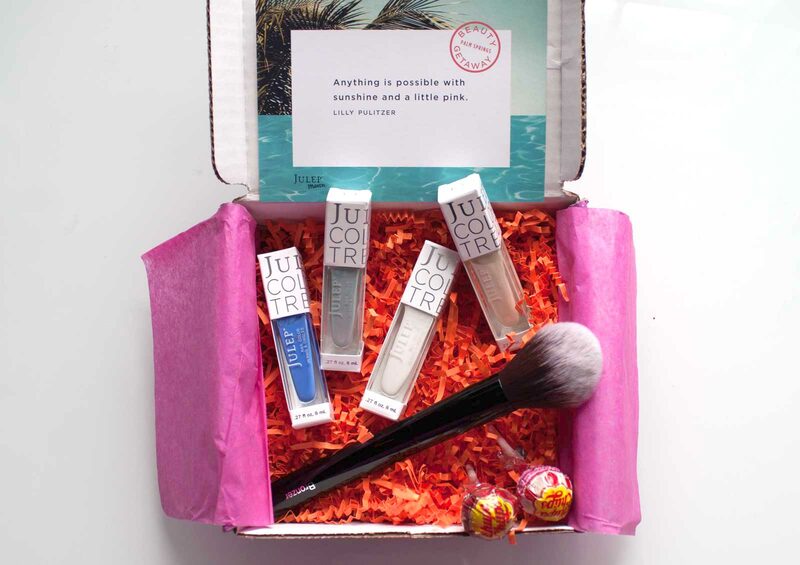 If so, you can get your first Julep Maven Box now! If you're still harboring some questions, check out our full review for more details. Who Should Try it: Julep Maven would be great for someone who is looking to try out unique products that not many people have. This beauty box is run by no other than Target themselves. It hasn't been around as long as many of the other beauty boxes, but it has still yielded some great success. What sets this one apart, though, is that instead of subscription service, it's more like a one time buy each month. There's no need to subscribe, just visit the Target website each month you want to order a box. Currently the going rate is $7 a box and you receive 5 items that target preselects. In each box you should expect to see a selection of skincare, cosmetic and hair products. Most products are sample sizes, and while most products are from lesser-known brands, the calculated value of them put together is certainly higher than the initial cost of the box. Overall, the Target Beauty Box is simple and low-maintenance. The products are nothing fancy, but they're great for everyday life. 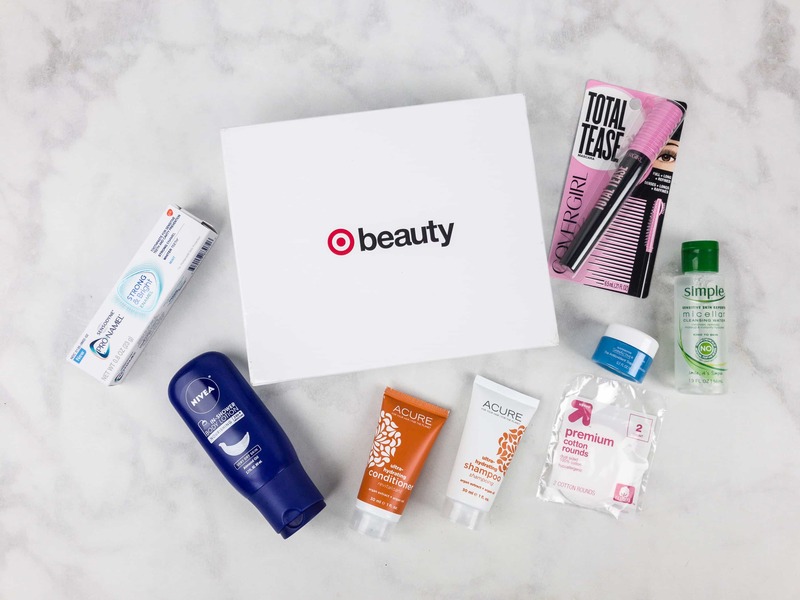 Right now, you can get your first Target Beauty Box here. If you're looking for some more information about how it works, read further into our full review. Who Should Try it: This box is a staple for every Target-lover. Based in New York, Scentbird was created to provide an alternative from the normal day-to-day shopping experience. For a starting fee of $14.95 subscribers will receive a generous supply of their favorite fragrance (0.27oz/ 8ml) in a travel-friendly spray. For a full supply of your favorite perfumes, Scentbird keeps things pretty reasonable. Each payment plan is a viable option, it just depends on the individual’s preferences. With hundreds of fragrances to choose from, there's a scent for everyone. Both women's and men's fragrances are guaranteed to be 100% authentic - no fakes or imitations hiding inside that bottle. Scentbird offers over 450 designer fragrances to choose from. With such a large variety of brands, it’s a guarantee that there is a fragrance for everyone’s own unique taste. You can get your first fragrance here if you’re ready to start smelling fresh. Access our full Scentbird review to clear up any reservations. Who Should Try it: Scentbird is ideal for someone who wants to test many different fragrances for a reasonable price. At Glossybox, they believe that sampling is the most effective and organic way for women to fall in love with a product, which is why they have a team of over 150 beauty enthusiasts working to source the best of cosmetics. Each month they select 5 beauty products and pack them into their signature pink boxes that are delivered straight to your doorstep. While their products are more basic, they are still good quality. Often they throw in a product from a well known brand as a special bonus as well. The subscription rate for one box is $21 per month and all shipping is free. Located in over 10 countries, Glossybox has become a worldwide favorite. Overall, they are generally perceived well by the public. They even hold a 4/5 rating from Trustpilot, a place where consumers can post reviews for online businesses. You can read our comprehensive Glossybox review for more information. If you are ready to make a purchasing decision today, you can possibly get started with Glossybox here. Who Should Try it: If you're looking for a beauty box that isn't too expensive and offers great products, then this box might be the right one for you. So that's it! We believe that these beauty boxes are the Top 10 in the market. Staying up to date with all the latest trends can be tiring and even frustrating, but with the right beauty box you can experiment with new products while staying in the convenience of your own home. Sydney enjoys using her writing skills to help people make smarter purchasing decisions and save money. She enjoys researching and writing reviews and other articles here on DealMeisters and other several other sites.